Friends, guests and a host of former St. Louis Blues players gathered on the floor of the Scottrade Center. 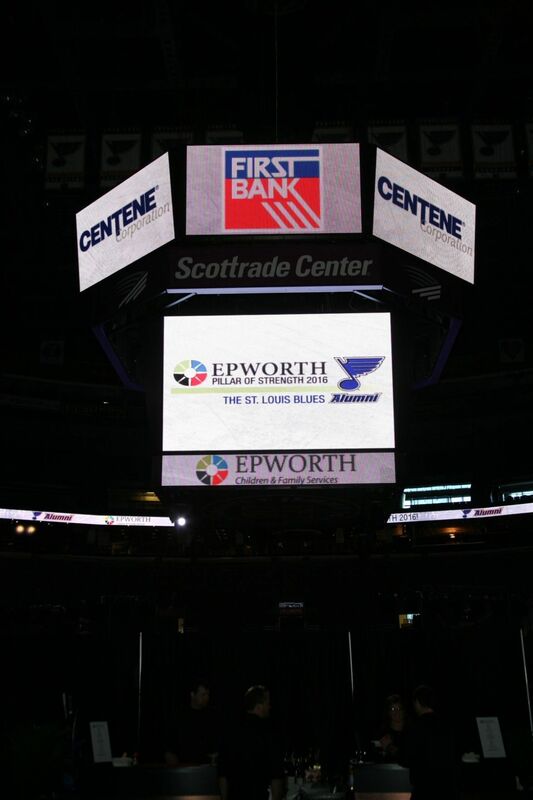 It was a fitting location to award the St. Louis Blues Alumni Association the Pillar of Strength Award for 2016 from Epworth. Since 1988 the St. Louis Blues Alumni Association has helped raise over 750k dollars for amateur hockey and over 5 million dollars for local charities. It was fitting for Epworth to honor such a long lived organization as they themselves have been around for over 150 years. Through multiple programs and services for children, youth and families in the St. Louis area, touching the lives of over 10 thousand individuals yearly. 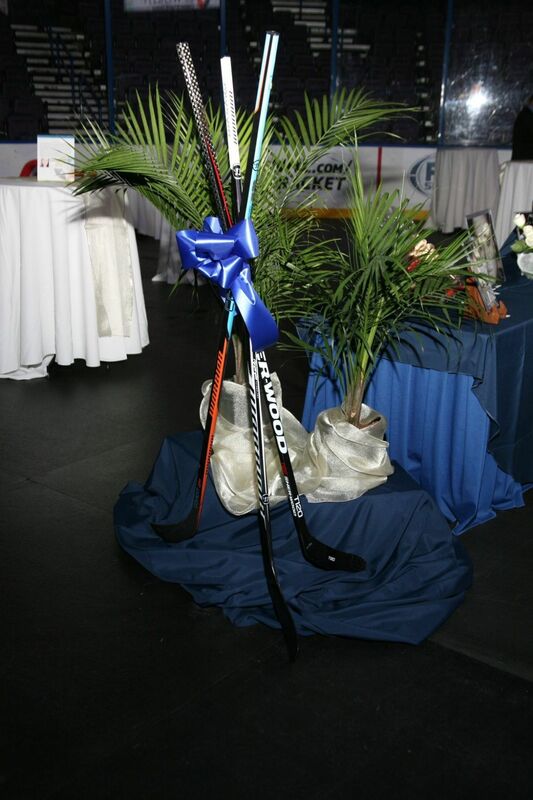 Guests browsed silent and live auction items while enjoying cocktails, a wine pull, and a photo op with the St. Louis Blues Zamboni. What followed was a beautiful dinner and program, featuring a collection of Blues alumni that was almost too big for the stage. Following a speaker and donations, guests were entertained by Kraig Nienhuis and Griffin and the Gargoyles.